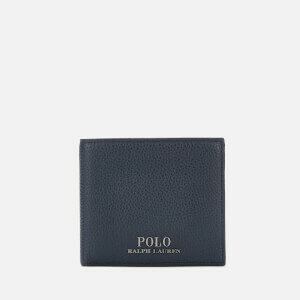 Gift box containing a bill-fold wallet and slim card holder. 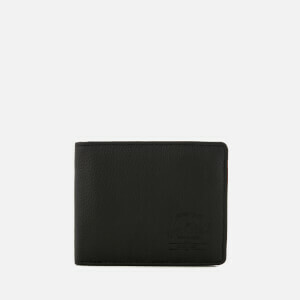 Wallet comprises full-length note compartment, eight card slots and two slip pockets. Card holder features six card slots and central slip pocket. Both crafted from tumbled leather and adorned with silver-tone brand plaque of the eagle logo. 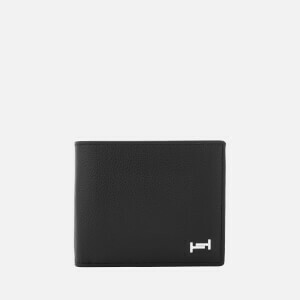 Wallet: H: 9cm x W: 11cm (21cm when open) x D: 2cm. Card Holder: H: 8cm x W: 10cm.